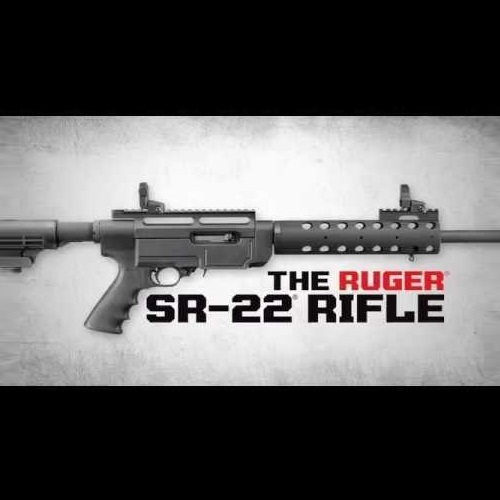 It’s one of the most popular assault rifles in the world. Even after 70 years, it still poses a significant threat to anyone who crosses it. It has become a cultural icon, a symbol, and a source of pride. It is one of the most influential inventions to ever come out of the 20th century, and its design has stood the test of time. I am talking, of course, of the history of the AK-47. 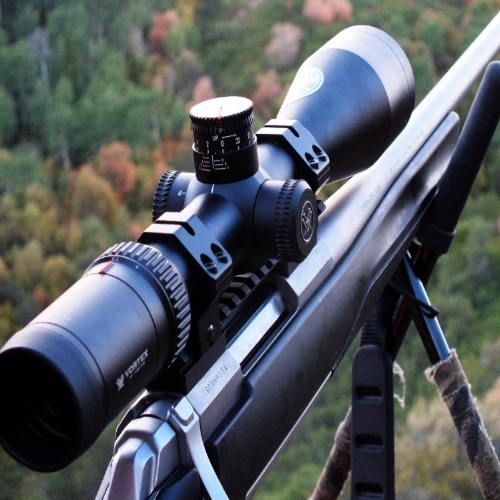 It is a rifle that has its share of imitations, though many say none compare with the original. The Soviets put it on a coin, and other nations have had it on their coats of arms. The nation of Mozambique, as well as the Lebanese militant group Hezbollah, even went so far as to put it on their flags. It is a symbol of armed resistance and liberation. The AK-47 is the invention of a Russian tank mechanic. Its origins harken back to the Second World War, and to the different tactics used by infantry soldiers at the time. It’s amazing how wars change the world we live in. The German Blitzkriegs of 1939 and 1940 forced the opposing nations to re-think their tactics, as well as the place of the rifleman in battle. The famed trenches of World War I were all but obsolete. This was a new time, a new era of combat, where firing a well-aimed and well-timed shot from a fixed position had become a thing of the past. The distances between a soldier and his enemy were growing shorter, so there was no longer a real need for a battle rifle which could fire large caliber bullets at long range targets. That philosophy may still hold true for snipers and marksmen, but not for the common foot soldier. This was a new kind of battlefield, a much smaller one (in infantry terms), and the rifleman was now a lot more mobile, and a lot closer to his enemies. A new kind of weapon was necessary to facilitate this dramatic shift in war doctrine. Wanted: a deadly weapon, as lethal as the battle rifle, but that was designed for short- to mid-range targets. True, there were different kinds of submachine guns available at the time, but they had relatively small calibers and were not accurate enough. Furthermore, it wasn’t practical for every single infantry soldier to carry a submachine gun, spare ammo, accompanying equipment, and personal gear. Providing the individual soldier with a new kind of rifle, with lethal short- to mid-range firepower, was something the Germans saw as a top priority. They were the first to recognize the need for such a weapon, and they went to work on developing it. Nothing beats quality Germen engineering, eh? The outcome of their efforts was the German 7.92 X 33mm cartridge. This cartridge was one which began a revolution in small arms. It enabled the German infantry to use a more compact rifle, carry more ammo, concentrate firepower, and improve the controllability of the weapon during automatic fire. In 1943, the German assault rifle, the Sturmgewehr (also known as StG 44), was introduced. It was the first of its kind, and it is considered the first modern assault rifle. It was safer, simpler, and easier to operate than any submachine gun that was being used at the time. Two years later, the war was over. The StG 44 didn’t get to experience wide distribution, but it was sent to the Eastern front. The Soviets were very impressed and taken by the new weapon. One Soviet soldier in particular, a man by the name of Mikhail Kalashnikov, was especially interested in the StG 44. Mikhail Timofeyevich Kalashnikov (1919 – 2013) joined the Soviet Army in 1938. He began his service as part of the Armored Corps, and threw himself into the wheels, cogs, grease, diesel, and machinery of tanks. As a boy, Kalashnikov loved taking things apart and seeing how they worked. He was always fascinated by machinery and engineering, but living in a small village, Mikhail had no way of obtaining a formal – or even informal – education in it. The military provided him with the chance to indulge his passions and his technical side, and discover new things. Kalashnikov designed an engine part which very much impressed the higher ranking officers, and his superiors scheduled a meeting between the young soldier and General Georgy Zukof (the man who would later lead the Red Army to victory over Nazi Germany). Following that meeting, Kalashnikov was sent to the Technical Armory School in Kiev. While his schooling was going on, Kalashnikov managed to improve on his design, and created two more models of that same instrument. Kalashnikov’s studies were cut short, however, due to the outbreak of war. 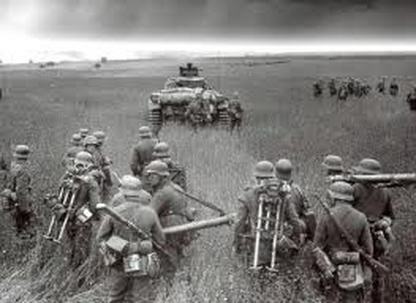 In June of 1941, Germany launched Operation Barbarossa. The Nazis invaded the Soviet Union, catching the Russians somewhat unprepared. It was the largest military operation of WWII, and the Germans meant business. Hitler had always regarded the 1939 nonaggression pact as a temporary state. A treaty signed for tactical purposes, and nothing more. Once the treaty had served its purpose, there was no longer a need to uphold it. Kalashnikov, who held the rank of Senior Sergeant, was given command of a tank, and then sent to the front. A few months later, in September of that same year, Kalashkinov was seriously wounded in combat. While he was recuperating at a hospital, he heard first-hand stories and tales of Russian infantrymen being overwhelmed and outgunned by Germany’s immense firepower. Vladimir Grigoryevich Fyodorov (1874-1966) was a lieutenant general and weapons designer. Kalashnikov was very influenced by his work, and he began researching the development of small arms. Kalashnikov was always something of an autodidact, and he learned the intricacies of gun design. In 1942, Kalashnikov was on convalescent leave in Kazakhstan. He entered a military-sponsored competition for a new machine pistol. He had help in the form of a local railway depot and its workers, who provided some assistance. 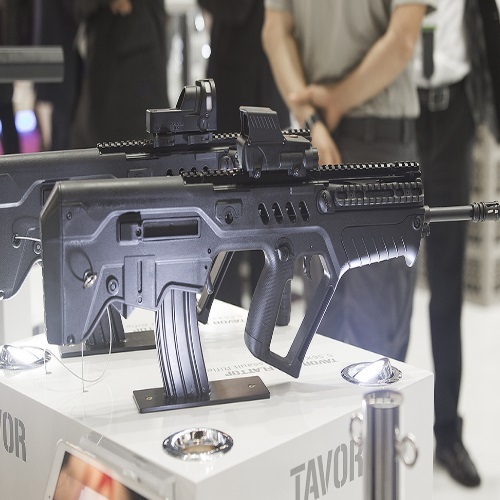 Three months later, Kalashnikov designed and produced a working prototype. The Soviet Army rejected his submission in favor of another weapon, but Kalashnikov’s efforts were not in vein. The military was impressed with Kalashnikov’s abilities, and Mikhail was removed from the Armored Corps and transferred to the main Soviet Small Arms facility in the city of Ensk. While at Ensk, Kalashnikov discovered that the Soviets had also shortened their cartridges, much like the Germans did some time before. The new caliber was 7.62 X 39mm, and it was very similar to its German predecessor. In 1944, Kalashnikov began working on a gas-operated selective-fire carbine, chambered for the new 1943 round. Tests were favorable, and the ideas were well-received by his superiors, but the weapon that was chosen for continued development was a different semi-automatic carbine, the SKS, created by a senior weapons designer and inventor by the name of Sergei Simonov (1894 – 1986). In 1945, the SKS was put into service in the Soviet Army, but it was a rifle which related to an older doctrine of war. One which was rapidly being phased out, in favor of new ideas and philosophies. Mechanical warfare was evolving quickly, and the new battlefield – which put a lot more emphasis on speed and automatic firepower – was not fully compatible with the SKS. However, for the time being, Kalashnikov’s design was put on hold. During the next couple of years, 1945-6, Kalashnikov kept working on his 7.62mm prototype. Unlike his time spent in Kazakhstan, this work was done with the support of a fully-trained and highly-qualified team of technicians and engineers, who assisted in the development of the weapon. Kalashnikov even brought in his wife Ekaterina, a skilled technical illustrator, on the project. Kalashnikov had seen combat as a tank commander, and he knew what the common soldier needs in combat, and which features will be most useful to a rifleman. The two key attributes were compactness and reliability. Kalashnikov also insisted that the weapon be simple. In an interview given in Russia in 1997, Kalashnikov cites a passage he’d read in a book: all that is complex is not useful, and all that is useful is simple. In 1946, a new and improved design was approved for further testing by the military. 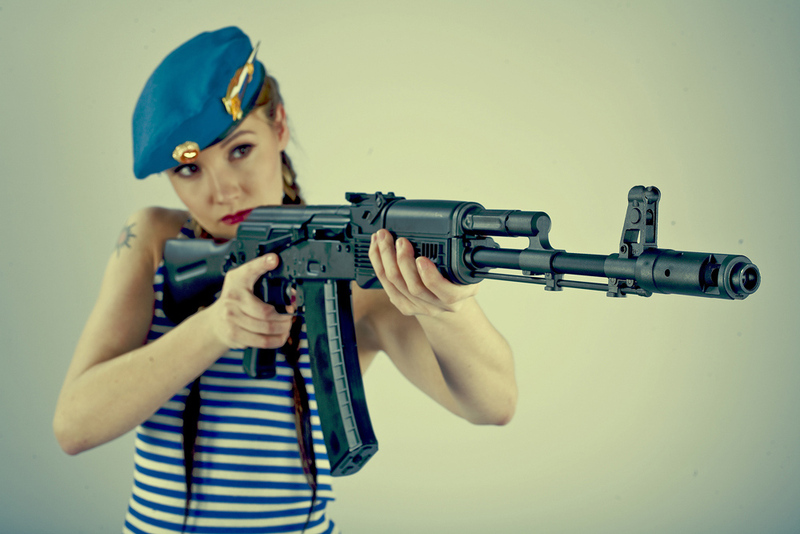 One year later, it was officially titled the Kalashnikov Avtomat (Assault Rifle) model 1947. It became the prototype for all future Russian small arms. While most other weapons designers sought to tighten the inner-workings of the rifle, Kalashnikov went entirely in the other direction. He gave the inner moving parts a lot more freedom of movement, and it is precisely because of that freedom that you are able to take a handful of sand, throw it in the rifle, retract the bolt, and just keep on firing. In 1949, the Soviets began production of the AK-47 in secret. It was produced at a weapons factory, located in the city of Izhevsk. Izhevsk served as a supplier and arsenal to the Russian infantry since the time of the Tsars. Throughout the 1950’s, the AK-47 became the front line Soviet infantry weapon. Even though the factory had some setbacks, production kept on going. Secrecy was carried out by the soldiers themselves. When firing the rifle and training with it, every single bullet case had to be picked up. When being transported, the AK-47 was covered in a pouch. The Soviets did not want anyone to know of its existence, and their plan held up until the Hungarian revolt of 1956. In 1959, a new version of the AK-47, the AKM, was presented. It was a modernized version of the AK-47, and it was the model which was most widely exported. Welding problems were solved by newer technology, receiver issues were fixed by reinforcing the metal, and the weapon was lot lighter and more affordable. In the 1960’s, the AKM could be seen popping up in the various communist nations, especially China. Hundreds of thousands of AKs were already in the hands of friendly, and less friendly, countries. The 1960’s were a time of great political struggles and revolutions, in many locations. In Vietnam, the Vietcong armed themselves with leftover weaponry from WWII, as well as with weapons taken from South Vietnamese soldiers and their U.S. advisors. Times were getting worse, and soon American troops were being called into combat. By the late 60’s, the North Vietnamese guerillas had armed themselves with many AK-47s and AKMs, as well as the Chinese version of the AKM, named Type 56. The Chinese still manufacture this weapon to this day, primarily for export. The Vietcong successfully used the AK-47 against a variety of targets, and in all different types of terrain and weather. It was there, in the jungles of Vietnam, that the AK-47 gained its well-deserved reputation. The Vietcong abused those weapons in every conceivable way, operationally speaking. They neglected them, caused them to fill up with mud and dirt, and never cleaned or properly maintained them. And yet, when it came time to open fire, all a Vietcong fighter had to do was pull the trigger. American forces in Vietnam were generally forbidden to openly carry the AK-47. It was not used for combat operations by the common grunt soldier, mainly for security reasons. The AK-47 was the weapon of the enemy, and it had very distinct characteristics which were audible and visible. Because of that, there was a chance of friendly forces opening fire on Americans with AK-47s. 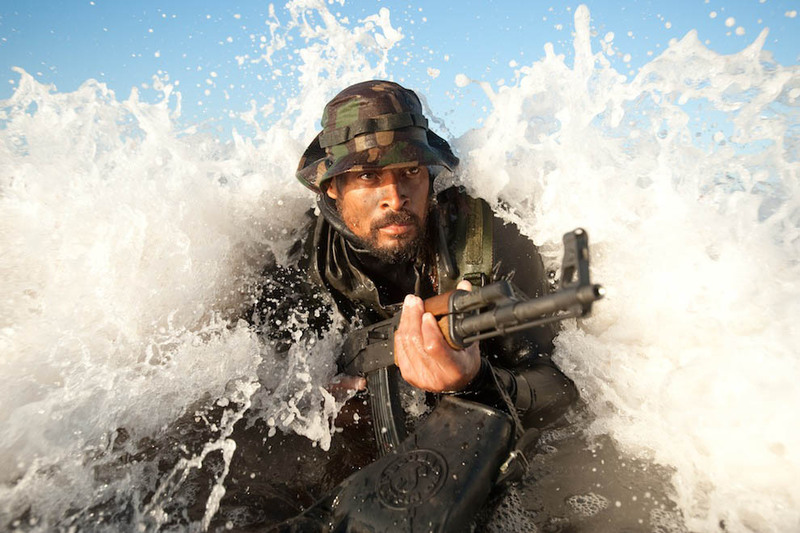 The only units who were allowed to carry an AK-47 were Navy SEALs and Army Rangers, who performed long range reconnaissance patrols deep behind enemy lines. During the Vietnam War, both sides had a new kind of assault rifle. The Vietcong had their AKs, and the American troops were wading through the bush with their newly issued M-16s. One clear advantage that the AK had over the M-16, was that the M-16 was pushed into service to facilitate a combat need, while the AK-47 had been calmly developed in relative quiet over more than a decade. The M16 rifle specs were still impressive, as the gun could fire the new 5.56 X 45mm cartridge in semi-automatic or full automatic mode. The M-16’s full automatic mode was later abandoned, in favor of a 3-round burst mode. The M-16 required constant maintenance and cleaning. Compared to the AK-47, it was a much more complex rifle to keep operational. When the M-16 was first introduced to the troops in Vietnam, the soldiers were not even given a cleaning kit. They were told that this rifle was self-cleaning, and that no maintenance was required. This was, of course, false, and GI’s were complaining of the malfunctions and jams which they experienced with the newly issued rifle. Kalashnikov himself has stated that the weakest point of the M-16 was its reliability. Could you count on it to fire, when the time came to pull the trigger? Not necessarily. To this day, M-16s requires constant maintenance and upkeep. Even with so many improvements which have been implemented in the M-16s’ various incarnations, as well as its cousin – the M4 – it is still considered a more complex weapon. Even with its disadvantages, the M-16 could still instill fear. The Soviet Union was aware of the M-16’s 5.56mm firepower and automatic capabilities. The development and history of m16 rifle spawned further developments in the AK-47. In 1977, during the annual Red Square parade, military men were seen marching with a new and improved version of the Kalashnikov assault rifle. It was the first time it had ever been glimpsed by the public. The AK-74 fires 5.45 X 39mm cartridges, and it was the USSR’s answer to the American M-16. The Russians saw the M-16’s firepower in Vietnam, and concluded that even with a significantly smaller caliber than 7.62mm, the M-16’s cartridge could do a lot of damage. Smaller caliber meant smaller ammunition, and that meant that a soldier could potentially carry more spare ammo then before. Another advantage of having a smaller caliber is that the recoil is lessened, making the gun a lot more controllable and manageable, even when firing it fully automatic. Kalashnikov, however, did not approve of the move to a smaller caliber. He wanted to modernize the 7.62 calibers, not redesign the rifle for 5.45. Up until his death in 2013, Kalashnikov felt the Russians would have been better off improving the 7.62 rather than use smaller caliber cartridges. The 5.45 may have been smaller, but the damage it caused was great. The AK-74’s bullet may be smaller, but it is designed to seriously wound. The bullet’s nose is made in such a way, that when it hits a target it bends forward. As it keeps moving, the bullet causes lethal wounds and major trauma to any tissue or organs it encounters along its path. The operating system of the AK-74 is identical to that of the AKM. As far as reliability is concerned, both rifles are in the same standing. The 74’s parts were not interchangeable like the 47, but it does sport a newer kind of magazine, and a longer compensator on the end of the rifle’s muzzle. The 74’s compensator has been proven to reduce muzzle climb dramatically, and it is still considered one of the best compensators in the world. The AK-74 saw its first combat action in the late 1970’s, when the USSR invaded Afghanistan. The Mujahedeen, Afghanistan’s holy warriors, were the first to incur the wrath of the AK-74. They dubbed the 5.45 bullet a poisonous, stinging round, because of its high velocity and its deadliness. The Afghani warriors were equipped with the older AK-47 and AKM. For 10 years, the war in Afghanistan continued. The Mujahedeen had amassed large amounts of weapons from all over the world, and they gave the Soviets one hell of a fight. Mikhail Gorbachev, the leader of the Soviet Union, called the war in Afghanistan a “bleeding wound”. Finally, in 1989, the last of the Soviet forces pulled out of Afghanistan. In December of 1991, the Soviet Union fell. The various arms industries, which were supporting the Red Army for many years, were no longer necessary. The AK-47 still lives on, though, and Kalashnikov’s unique design can be seen in just about every conflict going on in the world today. The Russians are no longer producing the weapon, but they keep stocks of them. Kalashnikov himself was saddened by the weapon’s uncontrolled worldwide distribution. He had always said that his rifle was meant for defense and not offense. He took pride in his firearm, and in its simplicity and reliability, and did not feel remorse about creating the weapon. Kalashnikov blamed the politicians for resorting to violence. It is people who kill other people, not weapons. Weapons are an instrument, which do the bidding of those who wield them. On the other hand, Kalashnikov was quoted saying that he would have rather invented a piece of farming equipment. The Kalashnikov is a unique design of steel and wood. It weighs in at 7.7 lb., without a magazine. Magazines are made of steel, plastic, or alloy. They weigh in at 0.73 lb., 0.55 lb., and 0.37 lb., respectively. The AK-47’s overall length is 35 inches (fixed stock), 34.4 inches (folding stock extended), or 25.4 inches (folded stock). The barrel is 16.3 inches long, and 14.5 inches of the barrel are rifled. It is a gas-operated, rotating bolt rifle. It has a muzzle velocity of 2,350 feet per second, and is effective up to 380 yards. On semi-automatic mode, it has a rate of fire of 40 rounds per minute. Full automatic mode will give you 100 rounds per minute. The Original AK-47 magazine had 30 rounds. It was based on this magazine round count that the U.S. demanded a higher volume magazine for their M-16s in Vietnam. Other volumes include 5-, 10-, 20-, and 40-round magazines, as well as 75- and 100-round drum magazines. Over 100 million units of the AK-47 and its variants have been legally sold and/or used in over 106 countries, since 1949. This got the AK-47 into the Guinness Book of World Records. Even with its popularity, Mikhail Kalashnikov was not a very rich man. He did not make much of a profit, even though his weapon was (and still is) in very high circulation. 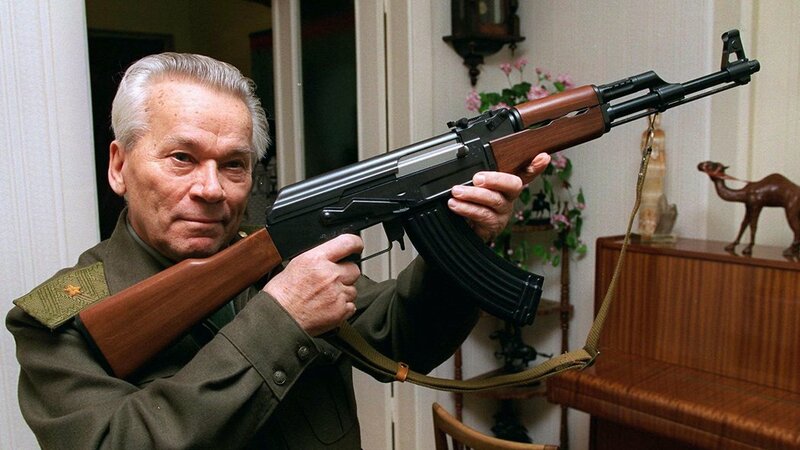 Mikhail Kalashnikov was a beloved figure, humble and down to earth. He was revered by his contemporaries, colleges, and fellow Russians. In 1997, President Boris Yeltsin promoted Kalashnikov to the rank of Major General, and awarded him with a decoration for special services for the Motherland. In some locations in the world, you can buy an AK-47 for as low as $10 – $200. Because of its relatively low price, the AK-47 has become a favorite of street gangs, terrorists, and gangsters. It is a symbol of all manner of ethnic or tribal violence, and is very prevalent in Africa. The Kalashnikov rifle (and its spin-offs) are used to kill approximately 250,000 people every year. They have caused more deaths than any military firearm, airstrike, or rocket attack – combined. 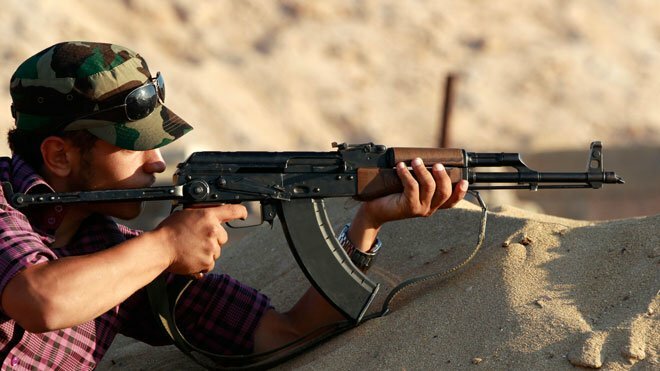 The AK-47 has, without a doubt, changed the world of modern warfare. It changed the way we do battle. Today, its original design continues to serve as the basis for many different weapons. License for production and distribution has been given to over 30 countries, with many more countries using the AK and its variants. Kalashnikov never forgot his roots. He didn’t consider the many awards and honors he received to be anything special. Even at a later age, he continued to stay up to date with the different improvements and modifications which were being planned and executed. He always stated that he is a simple man, and said he would want to be remembered as one who had worked hard for the Motherland. Due to its immense impact on the world of modern warfare, its sheer numbers still in circulation, and the nature of those who have been using it (i.e. U.S. enemies) – the AK-47 has earned a special place in the entertainment industry. The AK-47, and its variants, have been used in countless films, television programs, video games, and animated series. Kalashnikov has also been mentioned in numerous songs, been made into a brand of vodka, has had a drink named after it (vodka, lemon, absinthe, cinnamon, and sugar – in case you were wondering), and has been the subject of countless art projects and installations. One artist even went so far as to create a set of working guitars out of AK-47s. One of those guitars was sold at a fundraiser for $17,000. A gold-plated Kalashnikov was found in Saddam Hussein’s vast collection of weaponry. Osama bin Laden always appeared with a Kalash by his side. According to some reports, it was the United States who gave the founder of Al Qaeda his first AK-47. There are parents in African countries who have named their child Kalash, as a symbol of liberty, resistance, and overcoming oppression. Egypt erected a monument to the AK-47 in the Sinai Peninsula. Russia wasn’t the only nation to put the Kalashnikov on a coin. In 2007, New Zealand featured the weapon and its creator on a special limited-edition set of two silver coins, to commemorate the 60th anniversary of the invention of the AK-47. Mikhail Kalashnikov is gone, but his AK is here to stay. New weapon designs are always being thought up. Some of them have their “15 minutes of fame”, and then fade away. Some of them hog that spotlight, and refuse to move. The AK-47 is part of the latter group. For 70 years, it has been consistent in its simplicity and effectiveness. Its original design paved the way for more advanced weapons systems. Even after all these years, it dominates the market with ease. It is no wonder that it is considered to be the world’s best-selling assault rifle.